"Your robot puppy is so sweet," says Skipper. "Can I play your game?" 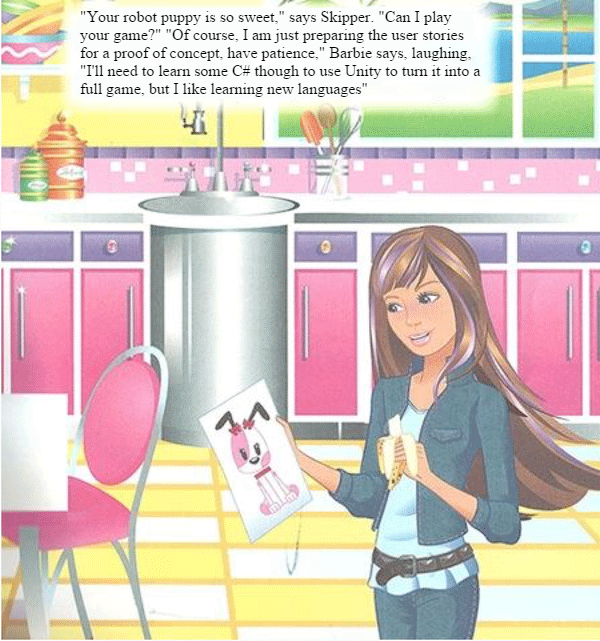 "Of course, I am just preparing the user stories for a proof of concept, have patience," Barbie says, laughing, "I'll need to learn some C# though to use Unity to turn it into a full game, but I like learning new languages"